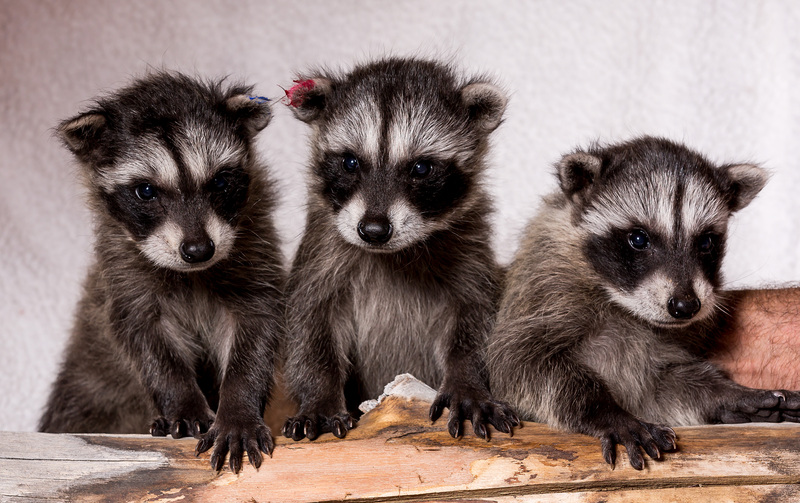 We are delighted to formally introduce our three newest residents – meet Rocket, Rey, and Princess Leia! These three orphaned babies arrived on May 12. They were estimated to be about 8 days old when they were removed from under a mobile home. Their eyes were still closed and they required around the clock care, which included bottle feeding every few hours. 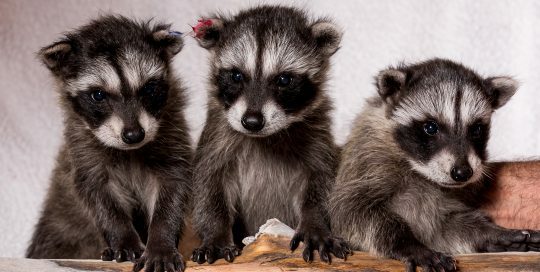 Raccoons are not able to be rehabilitated in Nevada because they are considered to be high risk rabies carriers, so they cannot be returned to the wild. The babies are now slowly being weaned from the bottle and learning to eat solid food. Visitors can see them most days from 2:00 to 3:00 in a temporary exhibit near the cheetahs. Eventually they will be moved to the raccoon enclosure in the canyon. Come meet the babies!